The mutton-chopped English rock legend from Motorhead and Hawkwind joins the Funko family! The heavy-metal legend is armed with his guitar and ready to rock! 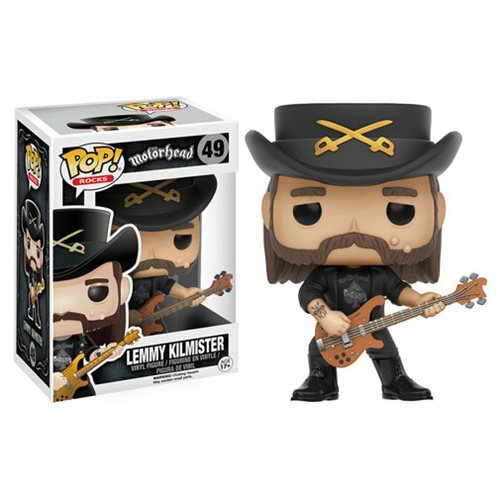 The Lemmy Kilmister Pop! Vinyl Figure measures approximately 3 3/4-inches tall and comes packaged in a window display box. Ages 17 and up.